As much as we look after our skin, the ageing process seems inevitable. Each movement we make, from smiling to talking and eating, causes lines to appear. Over time skin gradually loses hyaluronic acid and collagen, which unfortunately cannot be easily replaced. Luckily our obsession with looking younger has pushed more and more manufacturer to produce many non-surgical facial treatments to tone, plump and smooth away wrinkles. Injectable fillers are the most common products to treat facial lines and areas of dermal depression. The practitioner discusses with patients specific treatments to improve individual problematic areas, but let's discover which dermal fillers are the most used and trusted, their specific properties and which facial features they can rejuvenate. 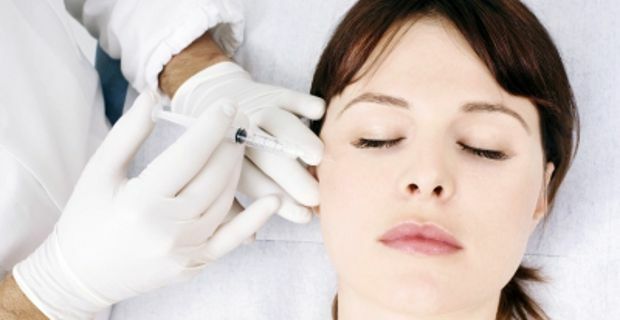 Botox: is used for softening wrinkles and frown lines. A fine needle is inserted into the interested area and the liquid is injected in order to temporarily relax the muscles, so that they can no longer crease. The treatment takes roughly 15 minutes and a further 5 to 10 days to become visible and the effects usually last for up to 4 months. Costs vary between £199 to £375 according to the area treated. Juvederm Ultra: a range of dermal fillers containing hyaluronic acid, which rehydrate and diminish fine lines and wrinkles, and also enhance lost volume. Depending on the consistency of the gel injected it can treat crow's feet, frown lines, plump lips, smooth wrinkles between the nose and the mouth' corner and volumise deep folds and creases. From £380. Juvaderm Voluma: a volumiser which restore deep volume loss in the cheek, chin, temples and delivers the same hydrating proprties of hyaluronic acid, concentrated in order to work deeper in the skin tissues. It provides a gentle lifting effect and helps reshaping face contours. From £400. Dermaroller: it is a medical device that features micro needles, which penetrate the dermis of the skin. A topical anaesthetic is used to make the procedure more comfortable, and the skin recovers within 24 hours. The purpose is to push the body to naturally regenerate and repair the skin and to increase the production of collagen. Great to treat acne, stretch marks, sun damaged, pigmented and ageing skin. From £220. Sculptra (poly-L-lactic acid): is a volumiser which both addresses wrinkles, lines and folds and also stimulate the natural production of collagen to replenish lost volume. It is suitable for deep nasolabial folds or smile lines, chin wrinkles, hollow cheeks and the effects can last for up to 24 months. Results are not immediate, but it gives a very natural look. Three treatments from £1200. Ellanse: is a next-generation filler, containing Polycaprolactone microspheres that injected in the interested area immediately improves wrinkles and deep folds and over time restore the natural production of collagen. The product is very innovative, as it also stimulate tissue production, which serves to provide a lifting effect and contour re-shaping.